In this challenge, each bot is placed in the game field 1 bot left 1 bot right. 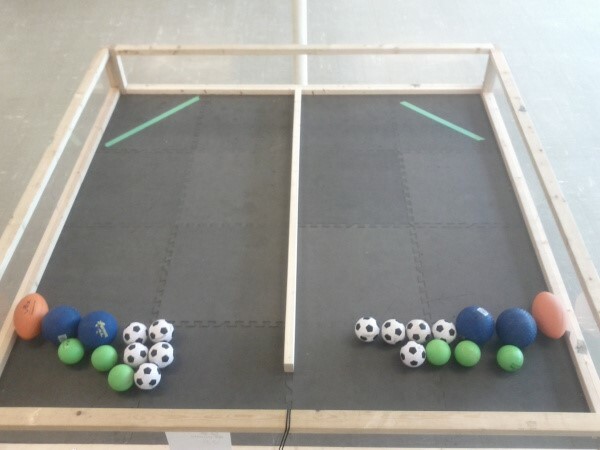 Each bot and its controller will have 1 minute to clear the field by picking up and placing the balls in the corner goal area (within the green tape). All balls must be touching the game floor mat before and after the game. The robot must be away from the green tape and not touching the balls. This game is a ‘Timed’ challenge to see who can score the most balls .